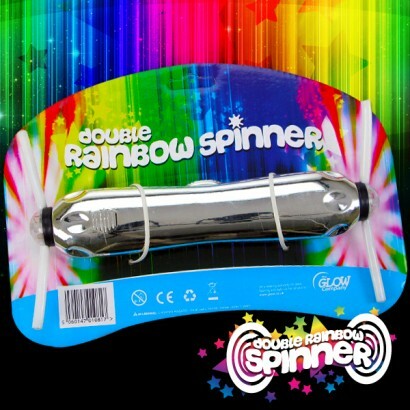 The amazing Double Rainbow Spinner! 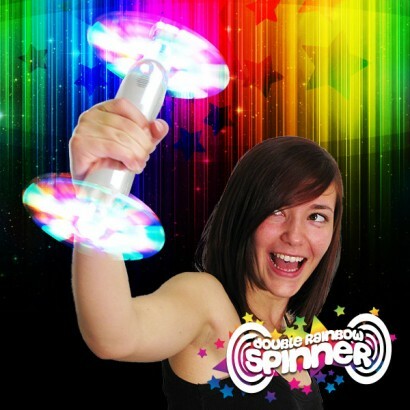 Double the windmills equals double the fun with this amazing hand held flashing novelty that see's two rainbow windmills sit either side of a central chrome handle for twin circles of colourful light! 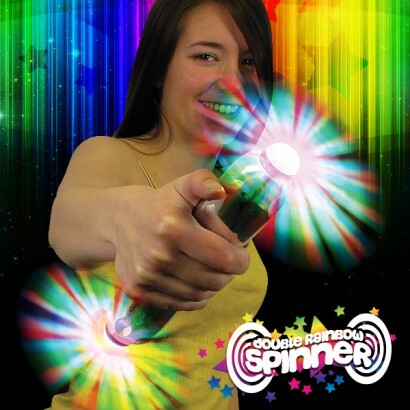 With an easy press and hold function, the double rainbow spinner makes double the impact with impressive multi coloured light effects, that are perfect for parties, events and sensory play!